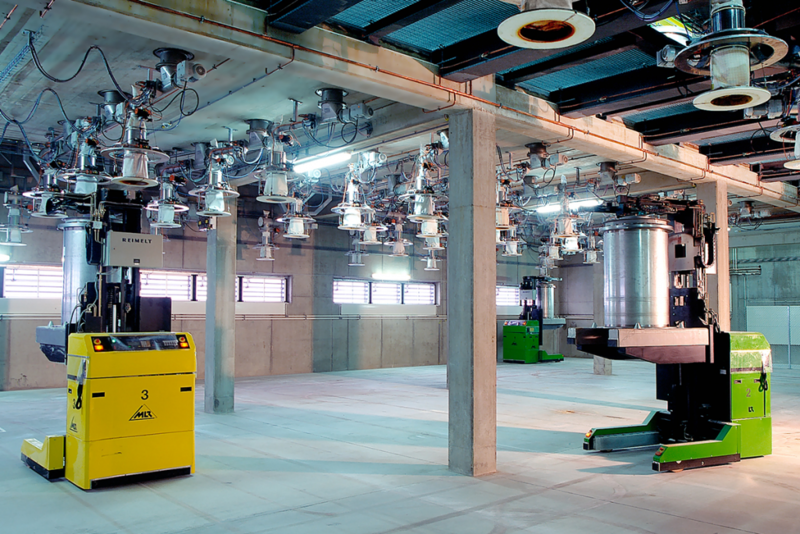 In the new high tech production complex of the MOGUNTIA FOOD GROUP the entire flow of material is produced with a high degree of automation. The use of forward looking technologies ensures the fulfilling of the high standards of the MOGUNTIA FODD GROUP. After the obligatory quality control, the raw goods are collected in a fully automated high-bay warehouse for raw materials. In that way the FIFO-principle can be maintained precisely and documented. In addition, this fully automated pallet warehouse contributes significantly to a faster and smoother production process. Sophisticated technology and logistic working to the most modern standards are needed to release the valuable ethereal oils contained in the spices as gently and thoroughly as possible and guarantee the maximum taste and best appearance. Afterwards the raw materials are gathered together automatically by four forklift trucks. 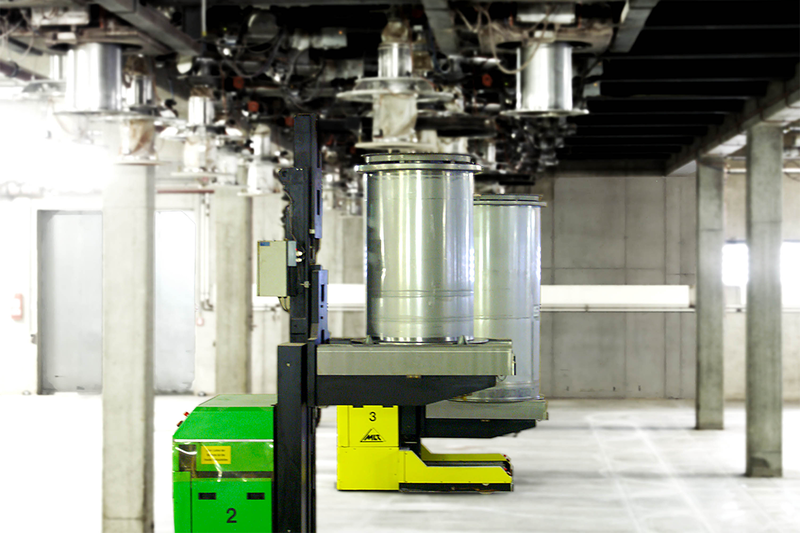 Each driverless forklift directly docks onto a silo and transfers the amount of raw material specified in the recipe directly into the batch container where collecting, weighing and mixing takes place. As soon as the mixture in complete, it is handed over to the mixing unit. Without the need for any further decanting, the product reaches quality control and then the automated filling unit. At the end of the process the batch container is cleaned. Liquid products can also be measured out in this fully automated fashion. The control of all the units is absolute state of the art and partly wireless. Now the goods reach an automated staff-to-goods high bay warehouse for ready products, which means that a shelf operating shuttle brings the goods, picks up the ordered product and continues to the next article. This makes the order and delivery process many times faster. The visitors are almost overwhelmed by this superlative technology. However, closer inspection reveals a modular-designed material flow system. The plant does mostly without staff, apart from operating personnel and programmers in the control centre. With today’s pressure from wage costs, automation is considered the key to preserving competitiveness. In this respect MOGUNTIA FOOD GROUP is far ahead of all familiar and common concepts in the spice sector.